Convert word to PDF file in iPhone and iPad is the smart way to share useful document with others. After converting Doc (word) file in to PDF file, you never change it in .pdf file format. Apple can’t give converter app in your iPhone and iPad but you can convert word file to PDF file in offline from your iPhone and iPad, by the helps of very popular document converter app for iOS device. Millions of happy customer enjoying this apps in Education, Banking purpose, Business, home, act.. So don’t miss out these below apps for Convert word to PDF file in iPhone and iPad. Extremely awesome functions are very helping for future use. Don’t miss: Top 5 Apps to Hide Pictures and Video in your iPhone and iPad. This is the best converter for alternate use of any document in to PDF file and PDF to any other format in offline mode from your iPhone, iPad and iPod touch. Only for To Convert word to PDF file in iPhone and iPad, this app is best for you. From this app you can only convert Doc or Docx file format in to PDF file. This apps can’t Convert word to PDF file in iPhone for more than 100 MB size. This is free to convert word to PDF file in iPhone for normal use, not so bad but you can use it for normal use. Like Ms Office document to PDF file from your iPhone and iPad. That can also helps to convert Contacts, Photos, Text messages and Pictures and in to adobe PDF format. Scanning option make this app very useful to Convert word to PDF file in iPhone apps. Export all iMessage and contacts in to PDF file. 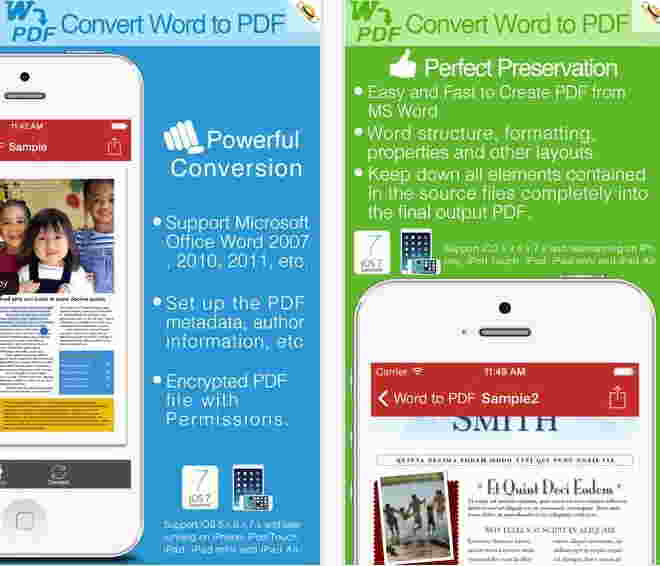 From this article you can find top best PDF to word converter apps for iPhone and iPad. So buy it from iTunes and use it in your iPhone and iPad for all time. Here are the ways to convert word to PDF file in iPhone using beautiful app.